ROSSI & BREVI is your future partner for production of steelwork and mechanical parts, specialising in welding processes. 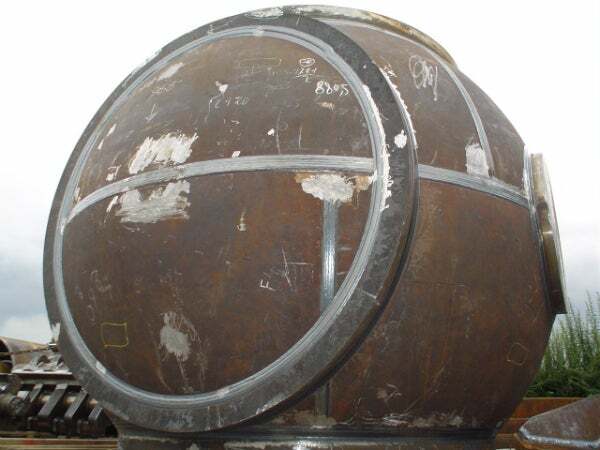 The products, built according to customer’s specifications, are used for industrial fields electro-mechanical, hydroelectric, manufacturing of pressure vessels, naval and steel equipment (including shafts, stator frames, oil and gas equipment, valves, hydropower particulars, shipbuilding equipment, stringing equipment and steel manufactory branches). The steelwork division, with 35 members of staff, covers a surface of 4000m² in offices and plants, with a total area of 20000m² and have a lifting capacity of up to 60t. The welding department, with 30 years’ experience and with training and technological investments, boasts the highest-level of staff, including eight qualified welders with qualifications from the Istituto Italiano della Saldatura (Italian welding institute) and a welding coordinator with a qualification from the European Welding Federation and the International Welding Institute, meeting the EN ISO 3834 standard. The department carries out overlay welding with stainless steel, as well as Inconel, bronze and heterogeneous welding of different materials. Within the company, a great attention is given to a quality system that is conceived and designed in respect of the rules UNI EN ISO 9001 and 3834. Highly specialised staff work according to processes and practices to ensure the identification and tracking of the product throughout every step of manufacturing and testing. Each product is subject to final testing, which may be certified either internally or in the presence of customer’s supervisors or official authorities (such as DNV, Lloyd’s Register or TüV). Qualified staff, according to international regulations (i.e. UNI EN 473 e SNT TC 1), are entitled to carry out nondestructive controls: visual, liquid penetrate, magnetic, ultrasonic (KRAUTKRAMER USN 58L) and X-ray. The mechanics division supports and completes the steelwork supply, and also carries out mechanical processing on behalf of third parties. The facility covers a surface of 2000m² on a total area of 5000m². It has a staff of 12 people and machines able to offer to customers turning and milling of large sizes, ensuring the highest accuracy. The variety and the quantity of machines enables the realisation of a wide range of products, either in unique pieces or a small series. ROSSI & BREVI was founded in 1971 as a craftwork company for the production of light to medium steelwork and during these years has grew up with a constant development into the field of medium-heavy steelwork.